With a custom gown by Humberto Leon for Kenzo for the ceremony, the bride walked down the aisle in Stuart Weitzman heels and Jill for Lady Grey bracelet cuffs. 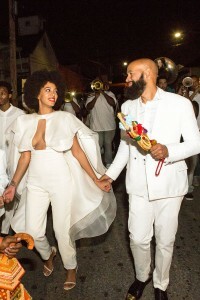 Solange, with her signature fro in tow, resembled a majestic Grecian goddess. Absolutely stunning. 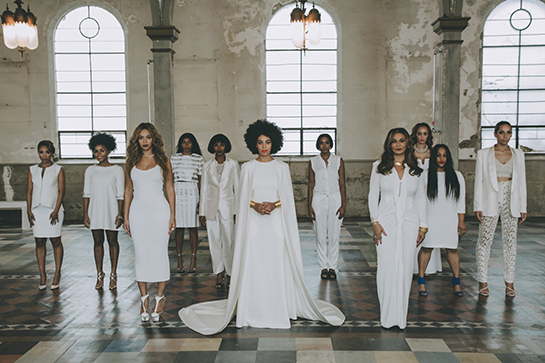 Did I mention that all their guests wore white? That’s right, everyone. The notion of stealing the show from the bride need not apply here. 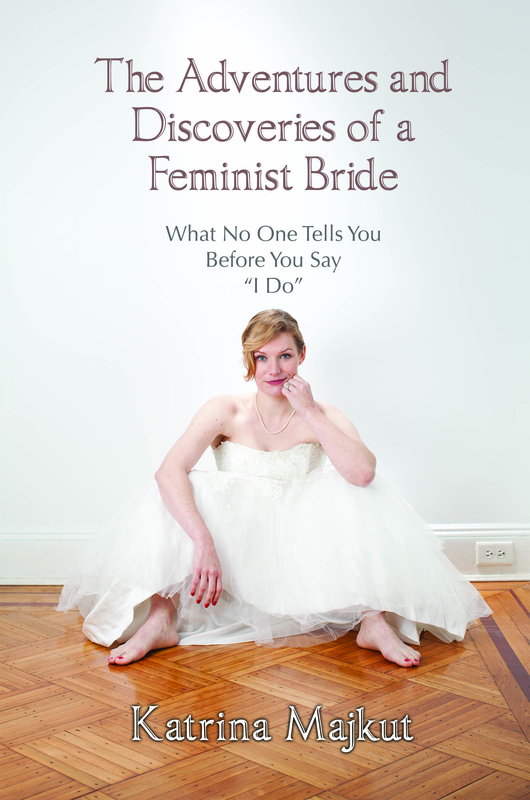 (Besides, what authority said you can’t wear white to a wedding?) 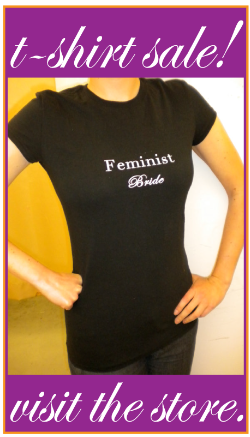 #FunFact having bridesmaids or guests wear white dates back to a longstanding tradition from hundreds of years ago. It was thought that demons wanted to dispel bad luck on the bride, so bridesmaids wore the same color to distract them and save the bride from their bad juju! The all-female family tableau captured by wedding photographer, Rog Walker totally complemented this historical insight. 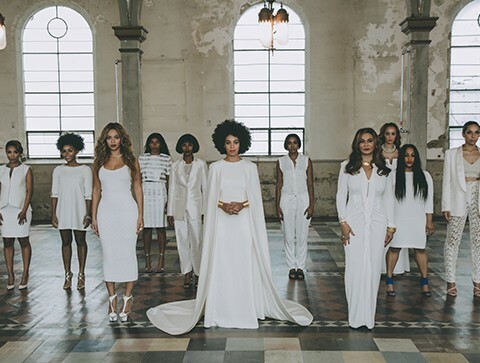 It’s stoic but embodies the feeling of #fempowerment, like the artwork of contemporary Italian artist Vanessa Beecroft. Could this wedding be any more chic? 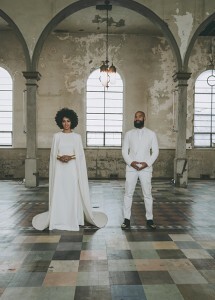 To me, it even makes contemporary classic wedding designs look downright average! 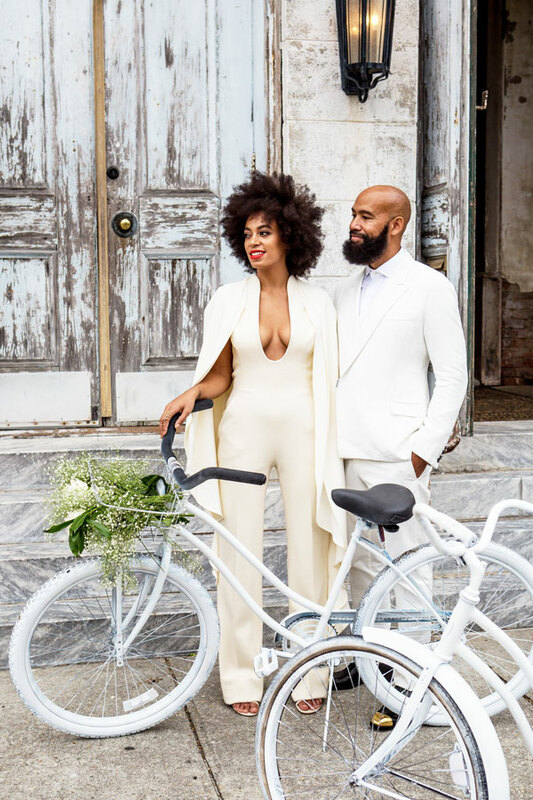 It’s safe to say that Solange Knowles has taken bridal fashion to a new level, a cult-classic level. (Kind of literally with all the draping capes.) Modern brides take note: it pays to be a fashion risk-taker!